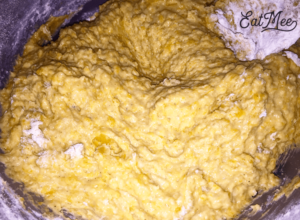 Pumpkin Fritters are a heavenly snack or dessert. 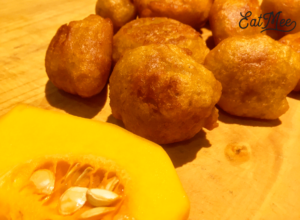 These sweet & savoury treats are also known to many South Africans as Pampoen Koekies which is the Afrikaans word for Pumpkin Fritters. 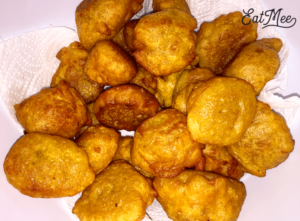 A fritter is basically a portion of batter that is fried. Fritters can be filled with a variety of things. They are prepared in both sweet & savory varieties. 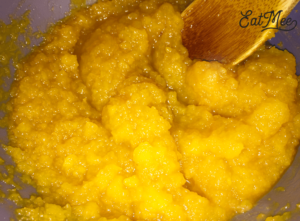 For this recipe I have used butternut instead of pumpkin. 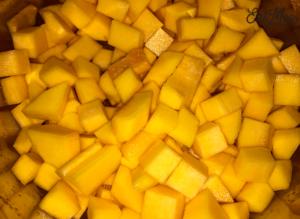 Carefully cut off the peel of either the butternut or pumpkin & then chop the flesh into small cubes. 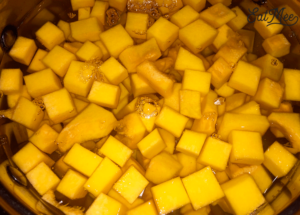 You just need 2 cups for this recipe, the remaining cubes can be frozen & used for another time or another recipe that requires butternut or pumpkin, eg. 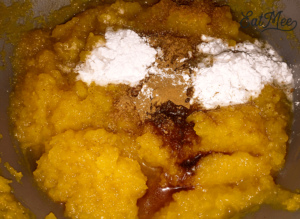 Pumpkin Curry or Fried Butternut. Place the fleshy cubes into a medium sized pot. 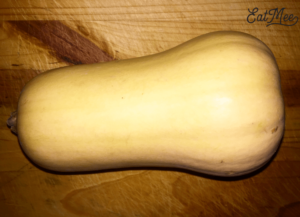 Fill the pot with some water & bring the butternut/pumpkin to a boil. 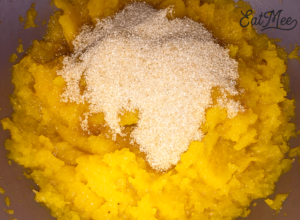 Boil until the pumpkin/butternut is soft – test by poking it with a fork or a knife, it should slide through easily. 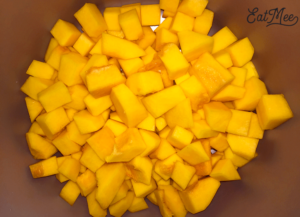 Once the butternut/pumpkin is cooked, drain in a strainer to remove any excess water. 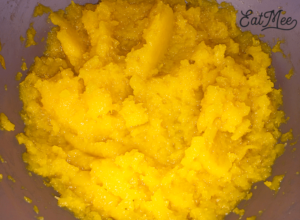 Once drained, transfer to a bowl & using a fork or a masher, mash up the butternut/pumpkin. Thereafter, add in the brown sugar. Then add in the baking powder, elachi (cardamom) powder, cinnamon powder & vanilla essence. 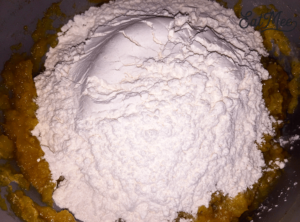 Thereafter, drop in the flour. 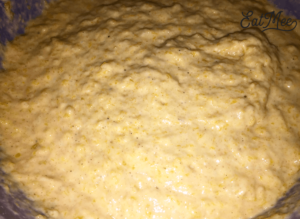 Combine to form a batter. 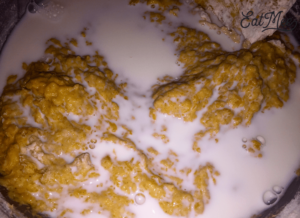 If the batter is too weak, simply add in more flour & if the batter is too thick just add in more milk. 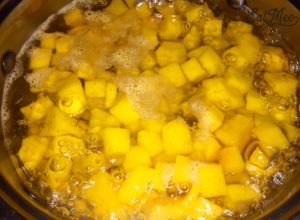 Heat some vegetable oil in a small deep pot. 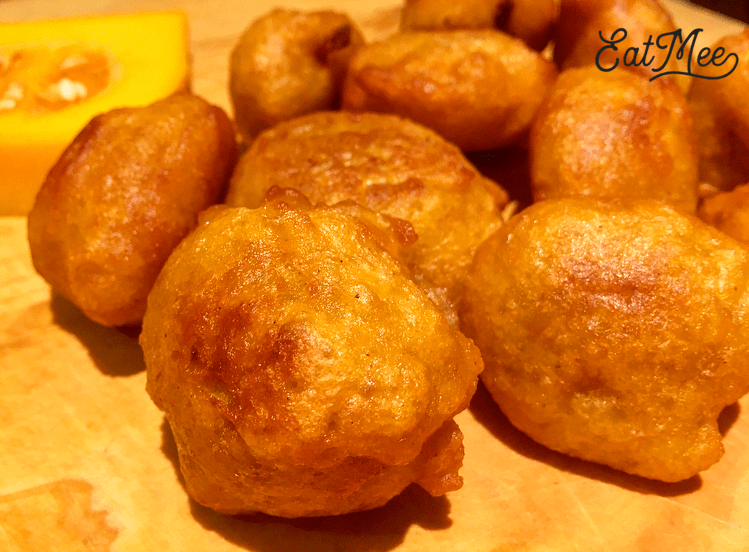 Test the heat of the oil by dropping in a little batter, if it sizzles then the oil is hot enough to begin frying the fritters. 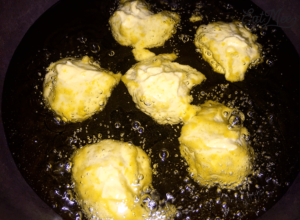 Using your hand, grab a little batter & carefully drop in balls of the batter into the hot oil. 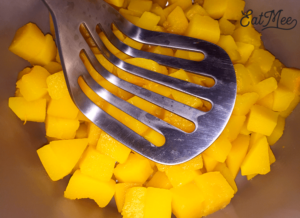 You can also use a tablespoon but this might not allow it to form a rounded shape. 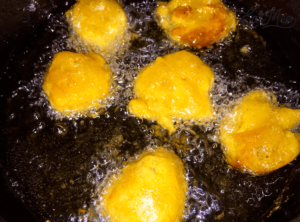 Fry the fritters on medium heat for about 3-4 minutes on each side until golden. 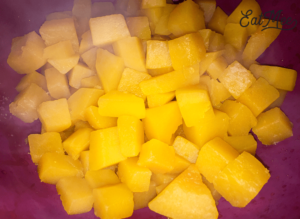 Once they are fried, remove & place on paper towels to remove excess oil. Serve hot as is or enjoy by rolling them in cinnamon sugar mix or a delicious caramel sauce. 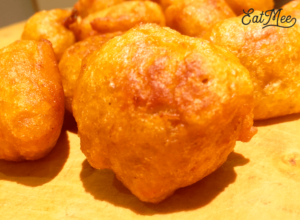 It’s best to finish these Pumpkin Fritters once fried because when kept away they tend to get soft & soggy.